LANSING, Mich. — The Police Officers Association of Michigan (POAM) recently presented Sen. Ken Horn with the organization’s Legislator of the Year award. Horn was chosen as Legislator of the Year for working with the association to remedy collective bargaining issues that have been presented by Public Act 54 of 2011. They also credited Horn with leading the legislative effort to add county corrections officers to those covered by Michigan’s binding arbitration law, Public Act 312 of 1969. President Jim Tignanelli and Legislative Director Ken Grabowski presented Horn with the award at POAM’s August board meeting. 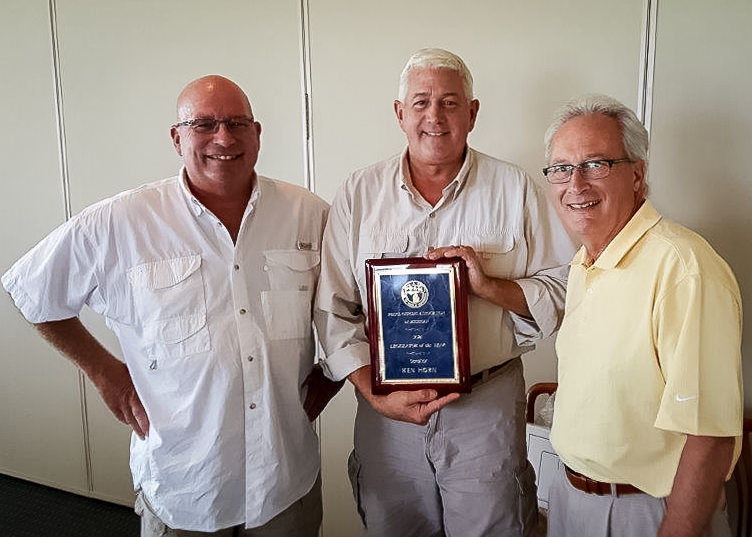 Photo Caption: State Sen. Ken Horn poses for a photo with Police Officers Association of Michigan President Jim Tignanelli (right) and Legislative Director Ken Grabowski (left) as they presented Horn with the association’s Legislator of the Year Award at their August board meeting.